Single location in the community Winningen (area Castle Cochem) in the German wine-growing area Moselle, The name supposedly goes back to owls, who are said to have nested here earlier. The oriented south to west vineyards in 75 to 210 meters above sea level with 50 to 70% slope cover 15 hectares of vineyards. 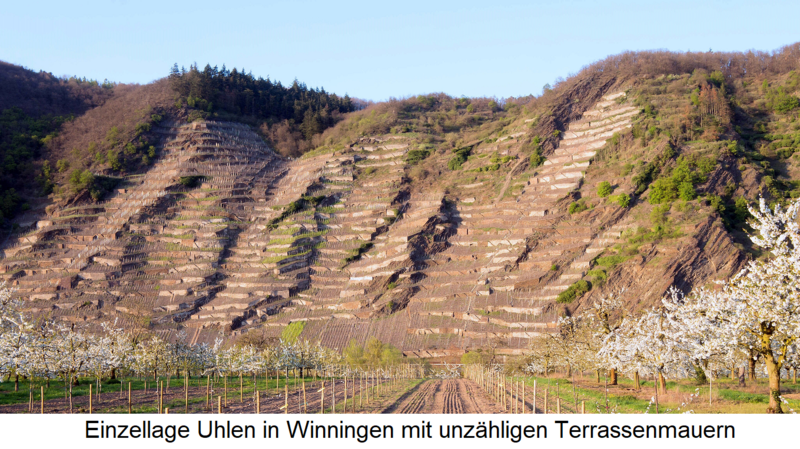 The management of the extreme steep slopes is only by means of Monorackbahnen possible. Above all, here is the variety Riesling cultivated, of which also Hochprädikatsweine like Trockenbeerenauslese and Eiswein be pressed. The vines are mainly used in the forms of education Mosel stake. Trier wheel and Vertiko behaved. The sandy soils consist of blue-gray slate with partly clayey sediments and high proportion of rock. This page was last modified at 19 April 2019 at 08:54.